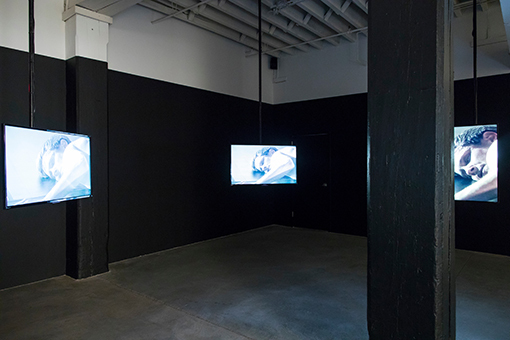 Illustrating the limits of endurance and empathy, interdisciplinary artist Cassils produces potent evidence of unseen violence while questioning the act of witnessing in contemporary media culture. The exhibition and its title, Phantom Revenant, speaks to the double invisibility of LGBTQI+ people across the world and the ways this violence is archived in public consciousness. Cassils exposes this timely concern through three works that aggressively bring cyclical forms of oppression, disregarded histories, and haunting realities to the forefront. 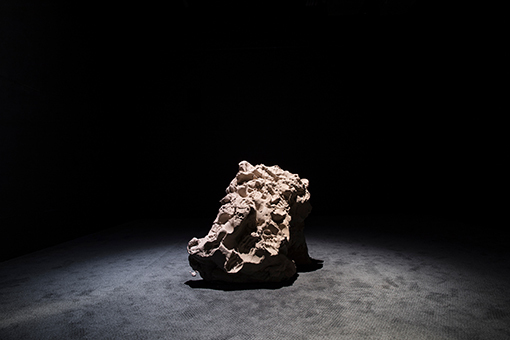 Challenging the audience's ability to see while bringing an invisible history into focus, the performance Becoming An Image (2013–present) is a body-intensive attack on a 2,000 pound clay block. Performed in total darkness, Cassils is visible only through the flash of a camera that momentarily illuminates the scene and sears the assault into the viewer’s retinas as an afterimage. The corresponding sounds of physical exertion and exhaustion break through the darkness as abrupt reminders of Cassils presence. The camera’s flash not only illuminates Cassils’s confrontation, but the audience surrounding their assault as well. 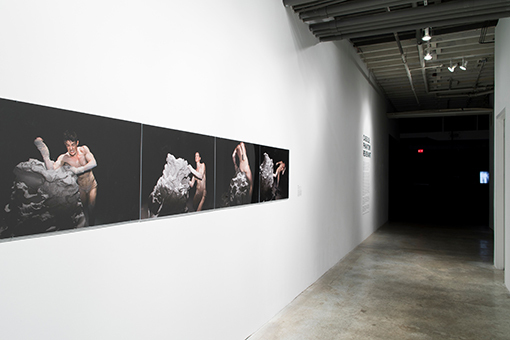 Cassils’s performance implicates each viewer as participant and turns the act of viewing into an ethical dilemma. 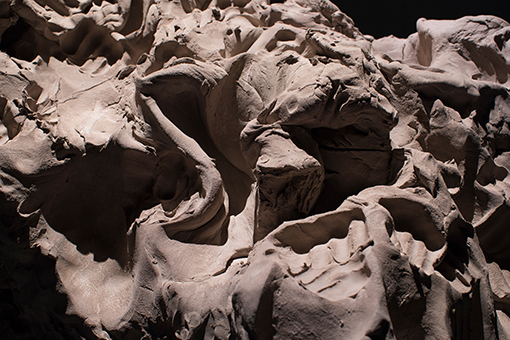 This visceral exchange between the artist, audience, and clay monolith archives—through the act of collective witnessing and accumulated strikes upon the clay—an insistence of being seen. Each blow upon the clay mass makes visible the physical and emotional violence directed toward LGTBQI+ people. After a previous iteration of the performance Becoming An Image, Cassils cast the clay block, first in concrete, to ultimately make a bronze cast. Cassils deploys the history and function of monuments, which traditionally memorialize significant people and acts, to instead memorialize the undocumented, overlooked, and often purposefully ignored histories. When cast in bronze, the clay block became The Resilience of the 20% (2016), a title that points to an appalling statistic from 2012 when murders of trans individuals increased by 20%. In late April, the artist and the Bemis Center will premiere a new performance, Monument Push, where Cassils, along with community member, advocates, and allies will push the 1,300 pound bronze from the Bemis Center to to sites of resistance and places where violence against marginalized peoples have occurred in downtown Omaha. 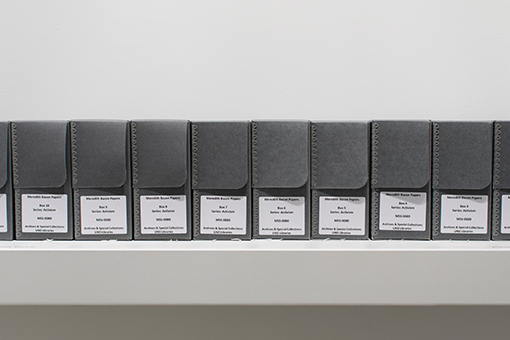 The six-channel video installation Powers that Be further extends the theme of witness-as-participant in violence. In 2015, Cassils staged a brutal two-person fight with an invisible opponent in a parking garage, lit by car headlights. Viewers of this performance were encouraged to document the event with their cells phones; their video footage provided the source material for the resulting six-channel video installation Powers That Be, (2015–2017). As an installation, Powers That Be reverses the terms of the original performance as well as Becoming An Image by putting the audience at the center of the attack. The amount and intensity of information offered during Powers That Be is overwhelming, calling attention to the trend to document violence while failing to intervene. Accompanying Cassils’s exhibition, a display of objects from the Queer Omaha Archives, housed at the University of Nebraska at Omaha Libraries Archives & Special Collections, connects the artwork to a local context and attempts to bring visibility to lost, disregarded, or forgotten histories of LGTBQI+ people in Nebraska. A dark presence runs throughout Phantom Revenant, bringing to light the restrictive forces of power present within and beyond the lived realities of flyover country; ultimately speaking to the the radical unrepresentability of certain forms of trauma and violence. 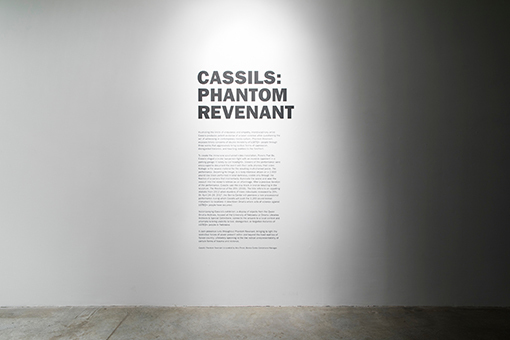 Cassils: Phantom Revenant is curated by Alex Priest, Bemis Center Exhibitions Manager. Cassils is from Montreal, Canada and is now based in Los Angeles. Their work uses the body in a sculptural fashion, integrating feminism, body art, and gay male aesthetics. Recent solo exhibitions include MU Eindhoven (Netherlands), Trinty Square Video (Toronto), and Ronald Feldman Fine Arts (New York). 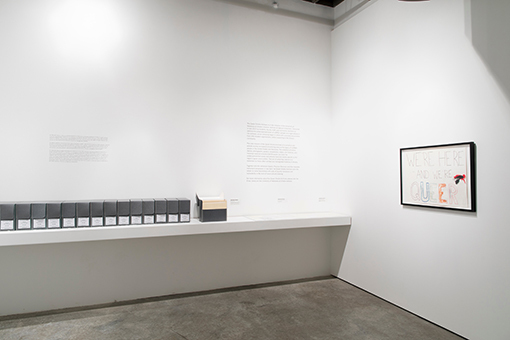 Cassils’s work has also been featured at Institute for Contemporary Art and The National Theatre (London), MUCA Roma, (Mexico City), Yerba Buena Center for the Arts (San Francisco), Los Angeles Contemporary Exhibitions (Los Angeles), Utah Museum of Contemporary Art (Salt Lake City), ANTI Contemporary Performance Festival (Kuopio, Finland), Museo da Imagem e do Som (São Paulo, Brazil), Museo de Arte y Diseño Contemporáneo (San José, Costa Rica), and Deutsches Historishes Museum (Berlin, Germany). Cassils is the recipient of a 2015 Creative Capital Award. They have also received the inaugural ANTI Festival International Prize for Live Art, Rema Hort Mann Visual Arts Fellowship, California Community Foundation Grant, MOTHA (Museum of Transgender Hirstory) award, and Visual Artist Fellowship from the Canada Council of the Arts. Their work has been featured in New York Times, Wired, The Guardian, TDR, Performance Research, Art Journal, and Vogue Brazil and was the subject of the monograph Cassils published by MU Eindhoven in 2015. Cassils received a BFA from Nova Scotia College of Art and Design (NSCAD) in Halifax, Canada and attended the MFA program at California Institute of the Arts from 2000-2002 on a highly coveted merit scholarship. Cassils uses plural gender-neutral pronouns (they, them, their) and asks that journalists do likewise when referring to them. This plurality reflects, through language, the position Cassils occupies as an artist.